We will finally get all of the details about Nintendo's next system on January 12, 2017. The Nintendo Switch Presentation will begin at 8:00 PM PT/ 11:00 PM ET on January 12, 2017. Nintendo took to their social media channels to let their fans know directly. "Don’t miss out on all the new #NintendoSwitch details! 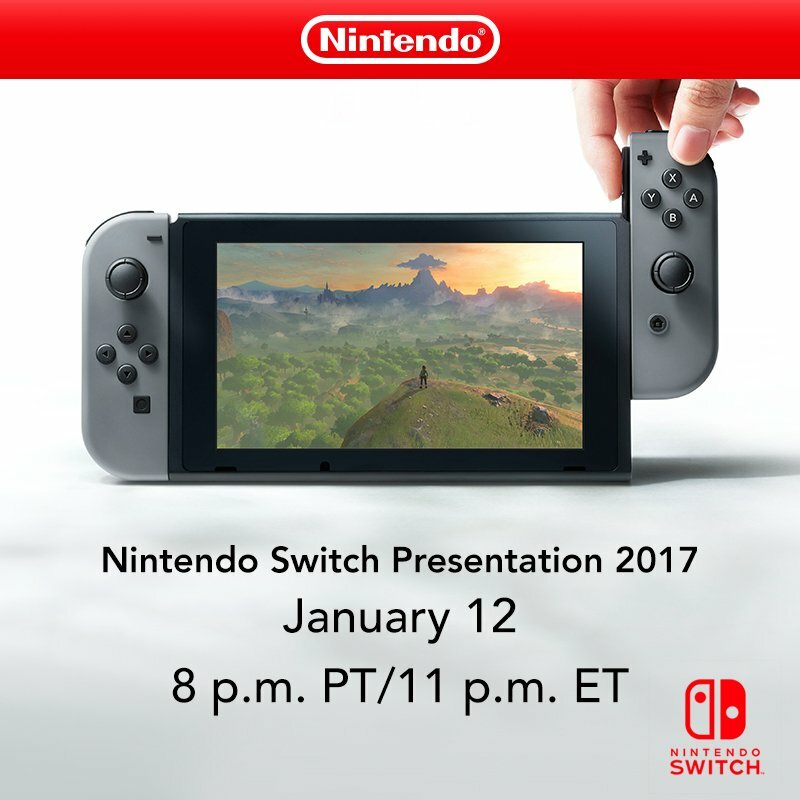 Visit http://www.nintendo.com/switch on 1/12 at 8 p.m. PT and watch live!" We will be there with all of the Nintendo Switch news as it breaks. Should you buy Nintendo's stock? Check out our brand new Game Trader feature to find out. This ^^^^ my body is ready. I think Nintendo is smart not to fight for the holiday dollar here. In January there won't be any competition for mindshare. Yep. Plus Switch is coming out in March, when people have saved up from spending at Christmas. If reports can be believed, it'll only cost around $250-300. I hope the US Mint is prepared to crank up the presses so they can help Nintendo print money. I will be in line at GameStop the morning of the 13th for my preorder. I'm trying not to let myself be too excited about this. I'm staying cautious. I need to see how they are going to achieve back ports what the online component will be. Can they finally achieve parity with PSN and Xbox Live? I think they should delay it until Zelda is ready. They need a brand new Mario, Zelda, mario kart, Splatoon, Skyrim, and dark souls all ready for launch. If they had that line up people couldn't resist. True, but people are going to snap up the launch quantity regardless of the available games. The extra demand wouldn't get them any additional install base. Once systems start sitting on shelves for any amount of time, that's when to drop Zelda. Yeah maybe your right. Although if they delayed launch they could have more systems available. If they kept building them at full tilt and had the same number built by the later launch then sure, that would be fine by me since I don't think I'll get one at launch. Maybe year end. That launch lineup is what they have in the first 6-12 months if you believe all of the rumors. Mario and Splatoon (Game of the Year edition not full sequel) for launch in March. Zelda in May/June. Mario Kart, and Mario Maker ports in the summer. Then I assume they will have something new to announce at the January event or E3 for the big Fall release. Yes! I'd love an updated DS1. I'm re-playing Skyrim on the PS4 (the HD remastered version) and it really hasn't held up very well. I probably won't bother finishing it. I actually think they shouldn't have that many must haves at launch. 3 tops. Otherwise you end up with the titles competing so heavily with themselves. And, there probably won't be as much heavy spending with a March launch as a holiday launch. I kinda don't think we'd see more than 2 key Nintendo IP titles at launch. Haven't had the coffee to back and look to see what Nintendo's launch trend has been in the past. I totally skipped the Wii U. I wouldn't mind getting another Nintendo console, but the Wii U just felt anemic, both from a power and support perspective. Playing Nintendo games I wouldn't have thought so. Third party, indeed. I think it could be argued that the system has some of the best Nintendo releases in generations. I mean at this point wait to see what they plan on porting to the Switch, but a Wii U is totally worth buying. Assuming you can't play Wii U on Switch, might be worth picking up a used on by the end of 2017 for cheap. They might never be cheap since production already stopped and there's hardly any out there for resale. You're correct in terms of third-party support, but Wii U arguably has the best first-party library going. The Wii U was an infinitely better console than the Wii. It the only place aside from my PC where the games are 60fps and look gorgeous. Like others here said, it also has some of their best games in generations and the best first party of this generation. Third party support was weak but you presumably have a PC or other console anyway. 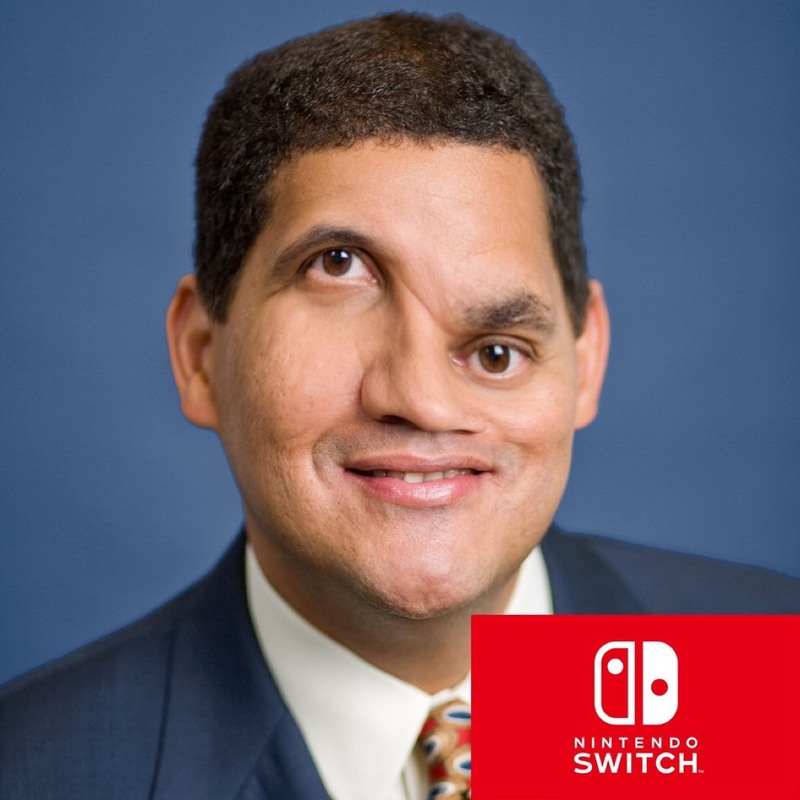 So far Nintendo seem to be making all the right moves. Hey Asif, dunno if you guys changed something in the editorial direction of the shack, but the news posts have been pretty useful and on point lately. Props. Thanks. I have been more involved in seeking out stories that I think we would care about here. Of course we are still doing our guide content and videos as well as features. Ditto, I actually read articles now for the first time since I joined in 2008.
whoa, I missed the pm bit. But, that kinda makes sense for a global presentation. Does that put it on a Friday morning in Japan? So hype. Also that seems really late? Expecting east coast people to stay up until midnight is asking a lot. Japan and the information is not going anywhere. It's meant to be morning in Japan I think. Before kids head to school I would guess. Oh right. Should maybe think outside of my bubble. Is this a live presentation? Otherwise why not just post this towards the end of the week? Does this mean we'll get a launch lineup, and that companies can finally announce their titles? They'll probably announce launch lineup, third party games, release date, and price. I'm going to be there live! Standing outside their office in the cold and then glumly walking back to watch it on my laptop. If they were accepting press and if I knew Japanese (though I could find someone to translate). "Now we turn to Shacknews' Senior Ugly American Correspondent, Raptor, who is live in the field at Nintendo in Tokyo. Good to have you Raptor." "Thanks for having me Asif. I'm speaking with Nintendo President Tas-too-mi Kim-ash-ma who you just saw on the stream talking about the direction Nintendo is heading with the Switch. Mr. Kim-chi-ma, first off thank you for taking the time to talk with me. Now, Shacknews is dying to know, will Half-Life 3 be a Switch exclusive and how will the portability of the Switch impact the future of the Duke Nukem franchise?" "Okay just one more question before security has us arrested: Satoru Iwata. Great president, or greatest president?"